Making its first return since 2010, the Wall of Aia awaits the peloton on this year’s penultimate stage of Vuelta al Pais Vasco. The one kilometre 14.4% average incline will be ascended thrice in the last 20km of the race. Here the riders tackle one of its 25% ramps – rather them than me. Stage 16, 197km from Pau to Bagneres-de-Luchon sees the peloton tackle the Col du Tourmalet – from its western approach – as part of this year’s queen stage. Yes, the race is in the Pyrenees following a classic line of climbs which has featured in the Tour since 1910. The Tourmalet – local patois for bad route or Gascon for distant mountain – is the highest pass in the Pyrenees and the most visited mountain in the Tour itinerary. It’ll be the 79th time that the Tourmalet has featured in the Tour and a stage has either finished atop it or on it on four occasions: in 1970 the winner was Bernard Thevenet, followed by Jean-Pierre Danguillaume (1974), Lance Armstrong (2002) and Andy Schleck (2010). The Col has some epic tales to tell starting with its debut. One the Tour organiser’s journalists, having done a near-fatal reconnaissance of what were essentially private roads to the area’s thermal resorts, persuaded the local authority to make the roads more passable and announced that “the Tourmalet was very good, and quite feasible, even for an average cyclist”. It was nothing of the sort, but achieved its primary objective – increased sales of L’Auto. The winner of that year’s Tour, Octave Lapize, was rather more than your ‘average cyclist’ and first man over the Tourmalet, even though he did walk part of the way. Not so Gustave Garrigou, winner of the 1911 Tour, who managed to ride the entire climb. The organisers weren’t entirely unfeeling, they introduced the broom wagon but tempered their kindness with the establishment of cut-off times. Do remember that during this era the riders had to carry everything – and I do mean everything – they needed for the race with them and they had to finish with it all too. Plus they were denied any assistance. This rule came home to roost in the oft-told tale of 1913 Tour where Eugene Christophe‘s refusal to concede defeat when his forks broke saw him pick up his bike, run 14km to the blacksmith’s forge at Sainte-Marie de Campan – at the foot of the Tourmalet – repair his bike and re-start two hours later. He was docked a further ten minutes by the organisers because the blacksmith’s apprentice had blown the bellows for him! My favourite Tourmalet tale involves Federico Bahamontes, six-times winner of the mountains jersey, 1959 Tour winner, who led four times over the mountain. Not as renowned for his descending, in 1954 he stopped at a cafe for an ice cream to wait for the others, so he had a wheel to follow down the other side. Of course no Tour tale would be complete without examining the exploits of one Eddy Merckx who, in July 1969, having launched a solo attack just before the Tourmalet’s crest kept going for a further 140km. He went on to win the Tour by almost 20 minutes, along with the points and mountains classifications, prompting the press to henceforth call him ‘the Cannibal’. This audacious attack on the Tourmalet impelled the famous French novelist and Tour fanatic Antoine Blondin to refer to the Tourmalet as ‘planet Merckx’. Well no longer, Antoine, it’s since been tangoed and colonised by Basque fans. The Tourmalet is now quite firmly planet Orange. 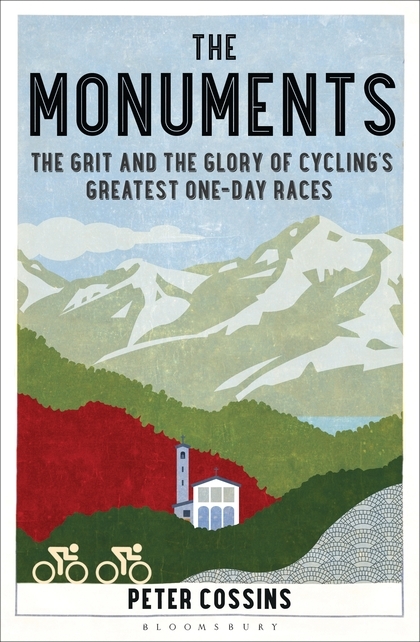 I have only ridden part-way up the shorter, more difficult and steeper eastern approach so am indebted to Graham Fife’s The Great Road Climbs of the Pyrenees for his description of the climb. I find generally that the climbs in the Pyrenees are harder than those in the Alps because they’re less regular. An average incline of 9% probably means you’re going to be lulled into a false sense of security on a climb’s gentle, lower slopes before being hit by a wall. Although, as you can see from the profile below, taken in isolation, the climb’s not too irregular, just long. However, to prove my point, there’s apparently a totally misleading sign on the way out of Luz St-Sauveur which claims ’18km average 6% to the col’. The first kilometre to Esterre is 5%, the rest of the way it never falls below 7% and it mostly hovers around 7-9% – never too steep, but just steep enough. The climb is relenting on quite a wide well-surfaced road with not too many curves, the first is at 15km to go and there’s a few more a kilometre later but then it straightens out again. Professionals like straight roads as it doesn’t disturb their rhythm. Amatuers, on the other hand, find an unbroken vista of tarmac intimidating. A bit of a bump as you approach the unattractive ski and thermal resort of Bareges and then it perceptibly ramps up as you head into the pastoral zone with roaming herds of wild life and their attendant insect population. A strong dose of insect repellant is necessary to keep the wee beasties at bay. You’re now mid-way and heading towards the ski station of Super Bagneres where maddeningly the road dips down towards the cafe on the Pont de la Gaubie with clear views of the peaks of the Pics du Midi and de la Caoubere but not, not yet the Tourmalet. The road steepens and the scenery changes to bare rock, now there’s no shade and nowhere to hide but at least the road starts to zigzag and with only 4.5km remaining [only! – Ed] you can see the final two long ramps up to the famous Tourmalet cafe. It’s time to grit your teeth, enjoy the scenery and keep turning those pedals until you triumphantly reach the summit of 2,115m. Enjoy the last few kilometres of the climb from the western approach vicariously – often the best way!